Beer lovers are in luck this September as Toronto Beer Week is back once again to celebrate all things craft beer. Toronto Beer Week honours the craft beer evolution by showcasing some of the best local craft breweries and the beers they've created throughout a series of events across the city. 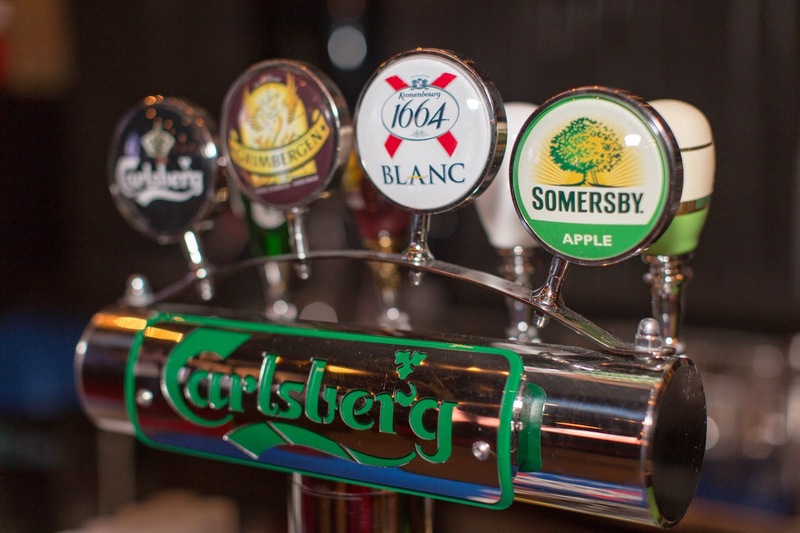 Over 60 bars, pubs and restaurants in Toronto participate in TBW by hosting various events ranging from beer dinners, cask beer tastings, brewing demonstrations, pub crawls, beer education and just plain ol craft beer drinking! With over 100 events happening in the span of one week, there is sure to be a beer tasting event that suits your brew-mood. 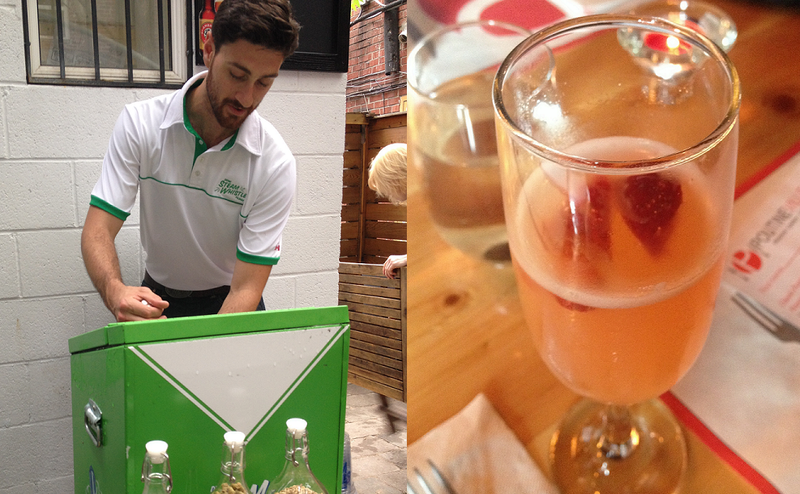 To help you get better acquainted with Craft Beer, I've picked my top 5 Toronto Beer Week events! This kick-off event takes place at the Berkeley Church and is a real treat for the cultured beer drinker. Each brewery in attendance has either brewed something unique specifically for this event or will be showcasing something exclusive that has yet to hit shelves. Some of the breweries at this events are Mill Street, Kensington Brewing Company, Muskoka Brewery and many more. Tickets are $25 and this price includes 5 sample tokens. Additional tokens can be purchased for $1 per 4 oz sample. There will also be delectable food items at this event and live-music. This is the first annual craft beer cruise and a few time slots are already sold out. Two unique sailings are scheduled on Saturday, September 13th; 3:30pm and 8:00pm. 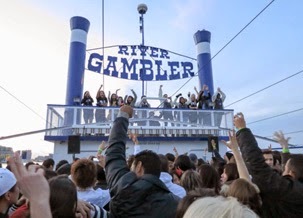 Each sampling session will run for a “three hour tour” on the water aboard The River Gambler. $39.95 gets you a ticket on board, a commemorative mug and 5 sample tokens. Breweries such as Left Field Brewery, Wellington Brewery and Great Lake Brewery are just a few of the great craft breweries in attendance. 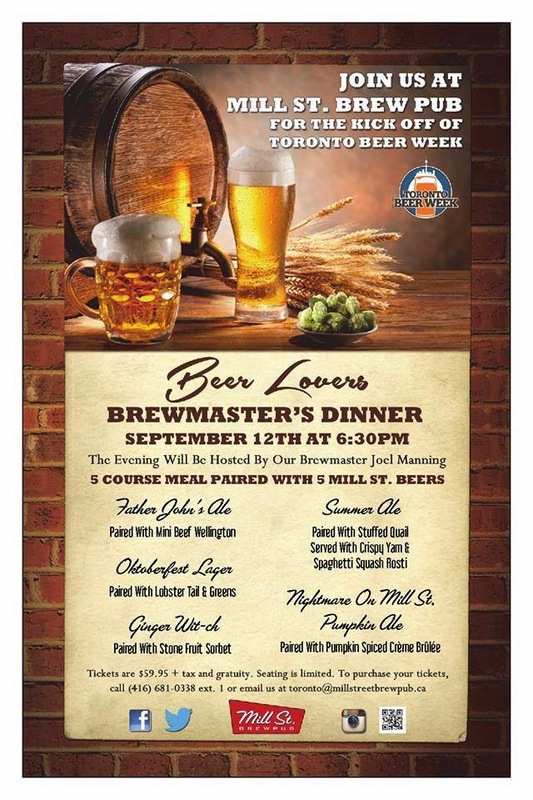 Mill Street Brewpub Toronto and Mill Street Beer Hall are hosting many great TBW events throughout the week. On Sept 12th the beer pub will host a 5-course dinner paired with 5 different Mill St. beers. The evening will be hosted by Brewmaster Joel Manning and tickets are $59.95. The menu looks incredible and since seating is limited be sure to purchase your tickets fast. 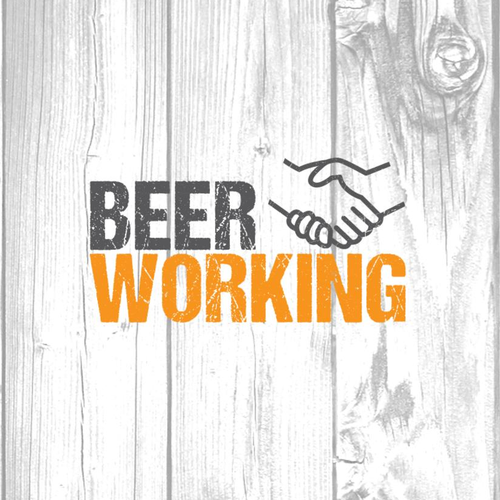 This unique event invites young professionals to experience a social community dedicated to beer and finding fun and creative ways for professionals to connect and socialize. Join Crystal Luxmore and Big Rock Brewery at Project: OWL for a good time and great beer. Tickets are $30. This awards event presents the BEST in craft beers decided by you! The event takes place at the Beerbistro and is free to attend. Door opens at 5 pm and you will have the opportunity to sample some of the breweries and purchase full pints after the award show. I hope to share a pint with many of you at one of the greatest weeks dedicated to craft beer! 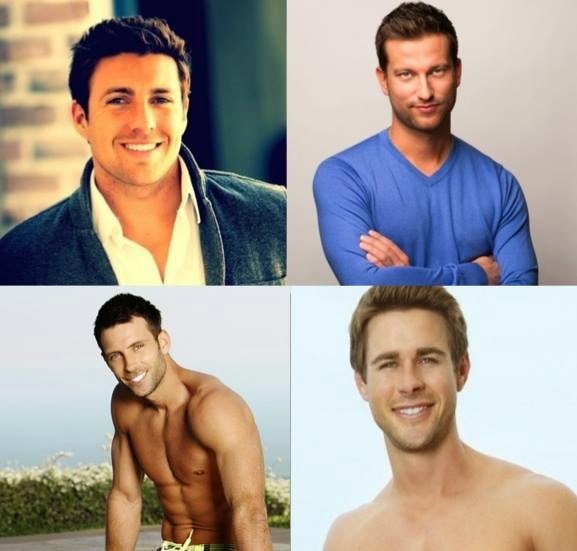 Hey ladies it's time to confess your undying love for the drama-filled dating show The Bachelor and The Bachelorette. 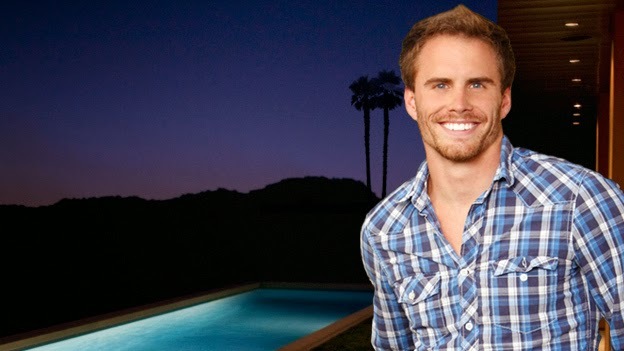 There is no denying the fact that you've been lured in by Chris Harrison’s ‘most dramatic season ever’ speech, the endless amount of wine and tears, the hunky shirtless men, the slow-dance in front of a band that no one knows, the catty backstabbing women, the gazillion dollar Neil Lane diamonds, the adventurous dates where the couple nearly dies but a kiss midair signifies true love and ultimate safety, etc. The list is endless, there’s just so many reasons that make this show GREAT and now is your chance to finally meet some of the star-studded men in person at Eligible Magazine’s 2nd annual TIFF Bachelor Party! Zack Kalter, Chris Bukowski, Graham Bunn, Robert Graham and Michael Stagliano from Bachelor in Paradise and The Bachelorette will be hosting the event on Friday September 5th at Flirty Girl Fitness at 580 King Street West. General admission tickets are $25 and this gets you entry into the main event which starts at 10 pm. VIP Meet and Greet tickets are $60 and include a meet & greet photo op with the bachelors, two free drink tickets, hors d'oeurvers, makeup touch-ups & a swag bag (valued at $60). Tickets are still available and can be purchased here . This is a dress to impress event ladies so we want to see you in your 'Rose Ceremony' outfits. Although no roses will be handed out, I have the next best thing.....two general admission tickets to celebrate the kick off of TIFF with the Bachelor studs! This is going to be a an amazing event for anyone who is a Bachelor fan or anyone who wants to partake in TIFF festivities! Enter below for your chance to win two tickets. Please note that this is a 19+ event. My dreams of an all-you-can-eat poutine place came true with the opening of Poutineville Toronto! Pountineville opened up its first location in Montreal back in 2011 and since then have opened up many locations throughout Montreal and Quebec City. Co-owners Kosta Kariotakis and Camillo Fresco decided it was time to introduce Poutineville to Toronontians, showering us with a menu of various poutine options that will cater to those who have a special place in their heart for squeaky cheese curds, crispy fries and hot homemade gravy. 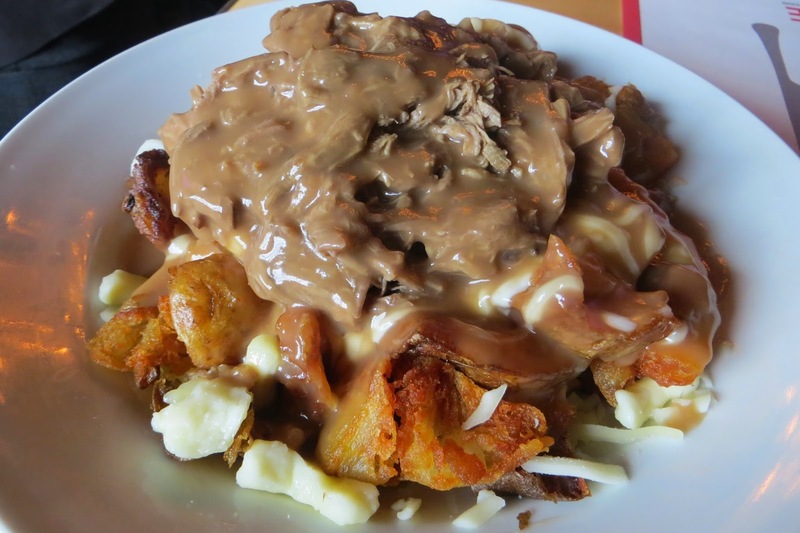 Poutineville offers unique poutines to choose from or you can 'create your own poutine' which allows you to pick from a list of over 27 ingredients, 10 different cheeses, four kinds of potatoes and five kinds of sauces. 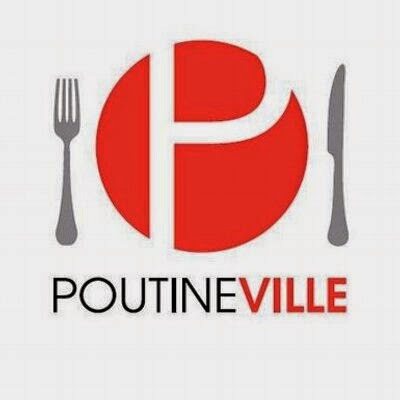 The options are endless at Poutineville and no matter what poutine you pick, you can be sure that all of the ingredients are of high quality using fresh Quebec cheese curds, farm-fresh local Ontario produce and premium meats. For those of you who aren't a fan of poutine aka not a human being, can choose from burgers, sandwiches, appetizers, salads and flame-grilled items. I was lucky enough to attend the media launch of Poutineville last week and I'm only recovering now from the week long food coma. 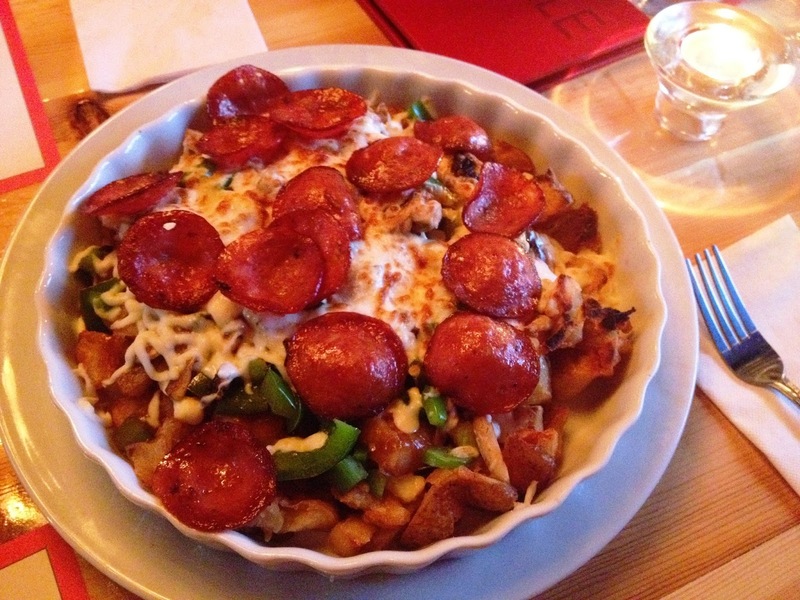 I truly enjoyed every poutine that I tried and finally got out of the ‘classic’ poutine phase. 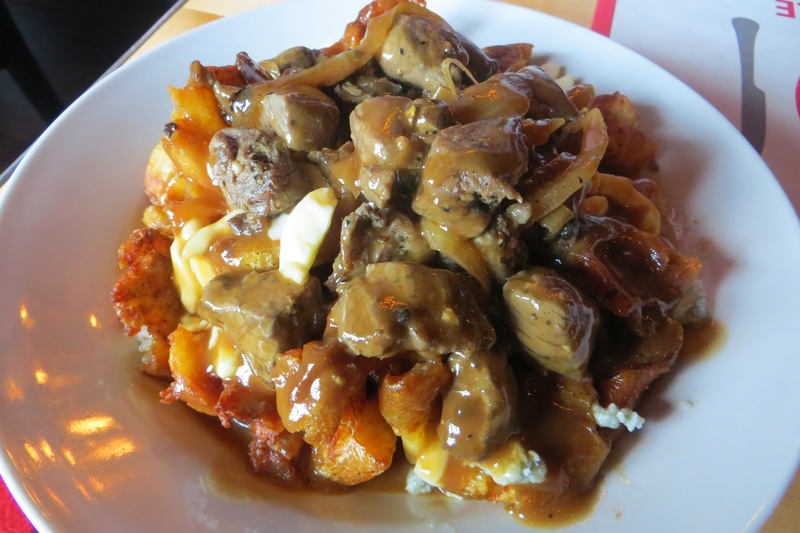 I usually only eat the traditional style poutine, but Poutineville really steps up its game and concocts such innovative poutines that I really can’t deny any of them thus far. 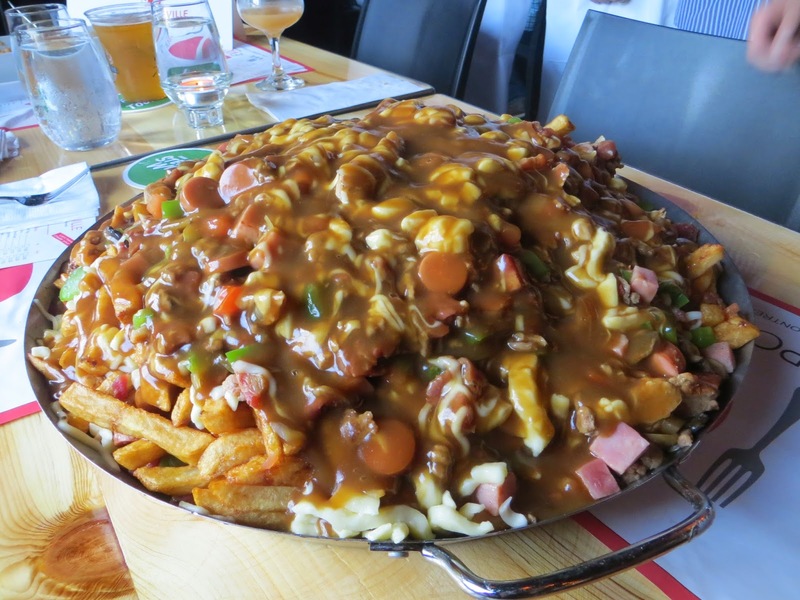 My favourite is the Montrealer because of the flavourful smoked meat and swiss cheese topping. The fried pickle on top is an added bonus. The new Annex Poutineville location can seat over 100 guests and has a full-service bar, lounge area, banquettes and cozy back patio. 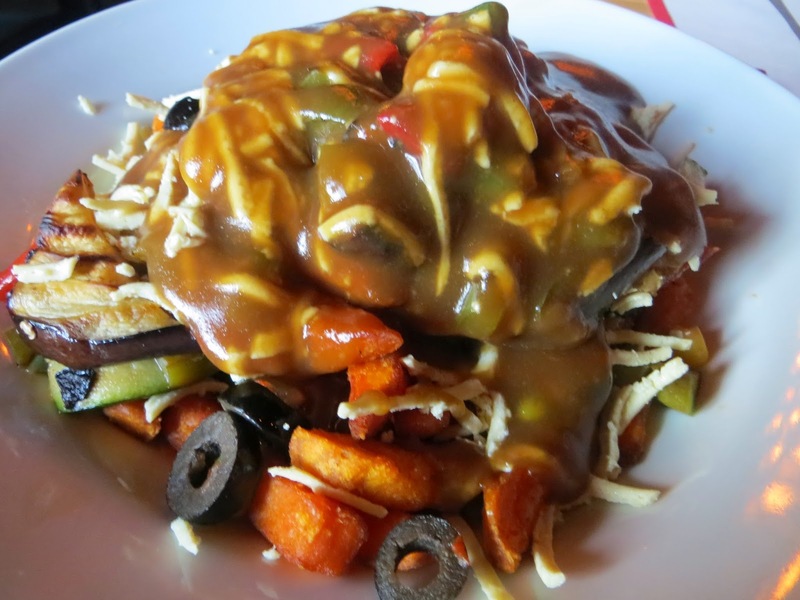 Your poutine cravings will definitely be met here and luckily Poutineville is opened late for the bar-crowd who seem to always think that poutine is the best thing in the world after a night of drinking (I concur). Food allergies and sensitivities are extremely common these days and sufferers are often faced with the difficulty of finding products that are of good quality, flavour and fairly-priced. Although many bakeries and restaurants in the city have been introducing allergy-free items to their menu, there is often a lack of dedication and knowledge surrounding allergen-free cooking which results in a recipe that is tasteless and unsatisfying. Luckily a new gourmet food store has opened up that focuses on implementing flavour, texture and aroma into their allergy-friendly menu to create some incredibly delicious foods to Feast on. FEAST which stands for ‘Fabulous Eats for the Allergic and Sensitive Types’ opened up last month and carry items that are free from gluten, wheat, dairy, soy, eggs, peanuts, treenuts, fish and shellfish). I was shocked to learn that absolutely NOTHING in the store contains any of the above ingredients and even more shocked at how delicious the products I tried were. The couple behind FEAST is Neil (chef) and Wendy (nurse), both passionate foodies that were challenged with their respective food allergies/sensitivities. Having a difficult time discovering flavour-enriched foods that they could digest, the couple decided to create their own recipes so that taste was never compromised. Their recipe testing has been perfected with the utmost precision and the evidence is experienced with every bite of the various items at FEAST. Neil and Wendy should be commended for the extreme efforts they've went through to create an allergy-friendly menu and environment. They make sure to verify ingredients and products for cross-contamination risks, favour companies that are founded by people who experience food allergies, train and certify their staff on food allergens through Anaphylaxis Canada, and list every single ingredient on product cards for all of the in-house made items. They even have take-away bags that are allergy-free. 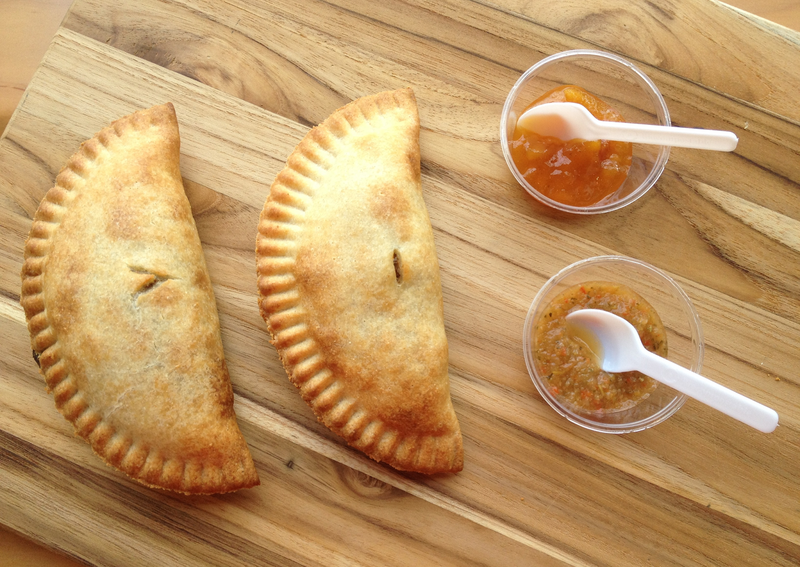 FEAST creates their prepared foods in-house and offer items such as pocket pies, donuts, spreads and coconut milk caramels. FEAST also carries a line of pantry items such as pasta, sauces, baking products etc. many of which have been sourced from local artisans in Ontario. Neil and Wendy have tested out many of the products that they sell to ensure that only the best tasting items with top-notch texture, aroma and flavour are on their shelves. I went for the jerk chicken pie first and was in awe after the first bite. I definitely forgot that this pie was gluten-free and was amazed at how perfect the pie pastry tasted. The filling was equally as tasty, and dipped into the homemade hot sauce gave it a nice zing! The vegan curried black bean pie was flavourful and packed with hearty bean goodness. I was already full off of one pie but these stuffed pockets are quite addictive so of course I kept eating. What’s great about these pies is that you can buy them and freeze them for later. These donuts were both fluffy and moist and had impeccable flavour. Sometimes with gluten-free and dairy-free donuts a ton of sugar is added but FEAST uses coconut sugar so that their donuts are low-glycemic and not too sugary. The coconut donut was definitely my fav thanks to the crunchy coconut chip topping. These chewy little balls of bliss were new to me and I don’t think I have ever tried something quite like them. The first one was a tropical caramel made with pineapple, coconut milk and a sprinkle of sea salt. It really did posses tropical flavours as you could really taste the dehydrated pineapple. It was such a nice treat and surprisingly quite filling for the size of it. The chocolate krispies were made with coconut milk, raw organic cacao nibs and crispy rice cereal and had a nice crunch to it with a smooth chocolate taste. All of the spreads are allergy-free and are made in-house with fresh and local ingredients. The vegan butter was very rich and creamy and is made with lightly salted coconut milk. This will soon be replacing butter/margarine in my household. The flavour is so much better than actual butter, and you can eat it right off of the spoon! The Sunflower butter was heavenly and probably my fav item in the store! The fresh roasted sunflower seed flavour was prominent and the texture of the butter was thick and creamy. This spread would taste great in my homemade granola bars in place of nut butter. The Chocolate Sunflower butter is fudgy and decadent and a great alternative to nutella. These layered cakes are unbelievable! They are incredibly rich and one small slice is enough to satisfy your sweet tooth. The bottom is gingery, the middle is moist and chocolaty and the thick chocolate layer on top is very decadent. This cake is the perfect treat to share between friends and pairs well with a hot cup of brewed Crio Bru Cavalla which is made from 100% pure roasted cocoa beans. You can try a cup of this great coffee alternative for $3.50. FEAST is a great addition to our city and a true haven for the allergy and sensitivity type or for anyone who loves GOOD tasting food. 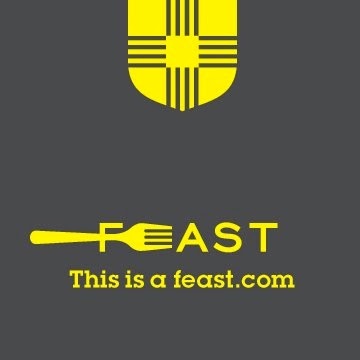 Be sure to stay up to date with FEAST by following them on twitter, facebook and instagram. I’m all about the latest attractions throughout the GTA and this new ‘cold’ spot in Toronto definitely has generated some buzz around the city. 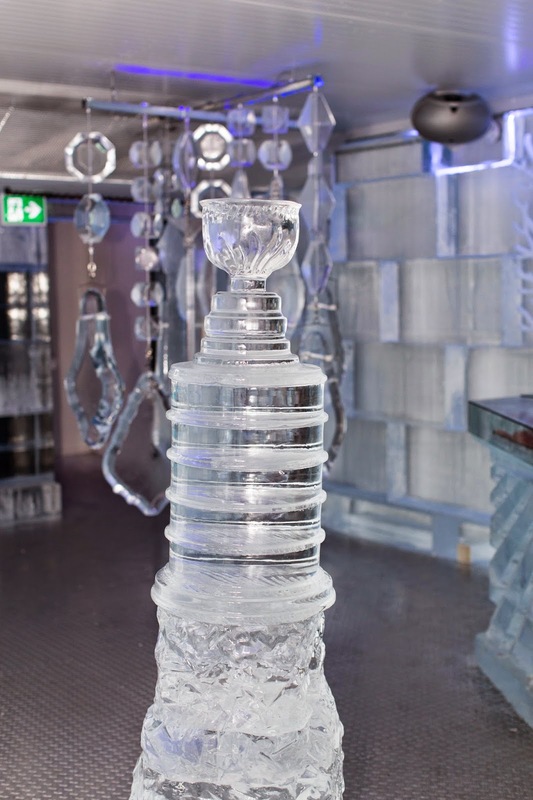 Chill Ice House offers Torontonians the ultimate icy experience with an ice house that features ice furniture, ice décor, ice bar and cups made out of ice! 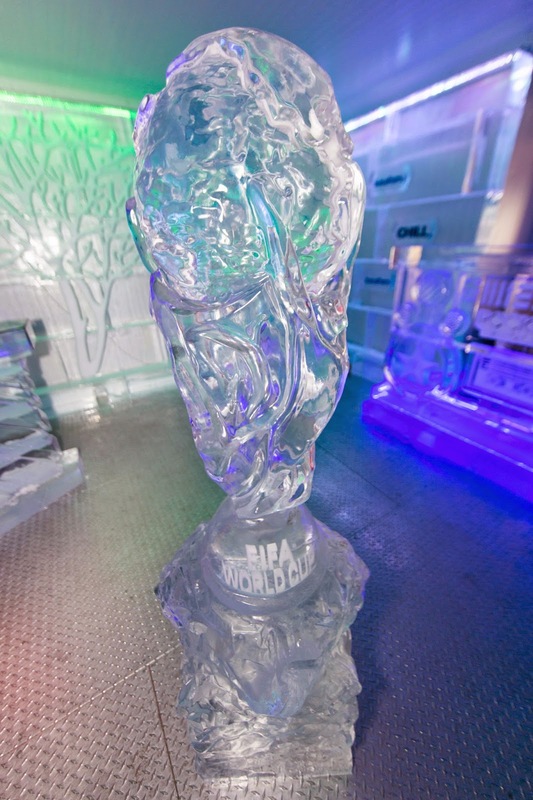 Inside you will find stunningly-themed ice sculptures that are constantly changing dependent on popular events (World Cup, PRIDE, Caribana) and holidays. 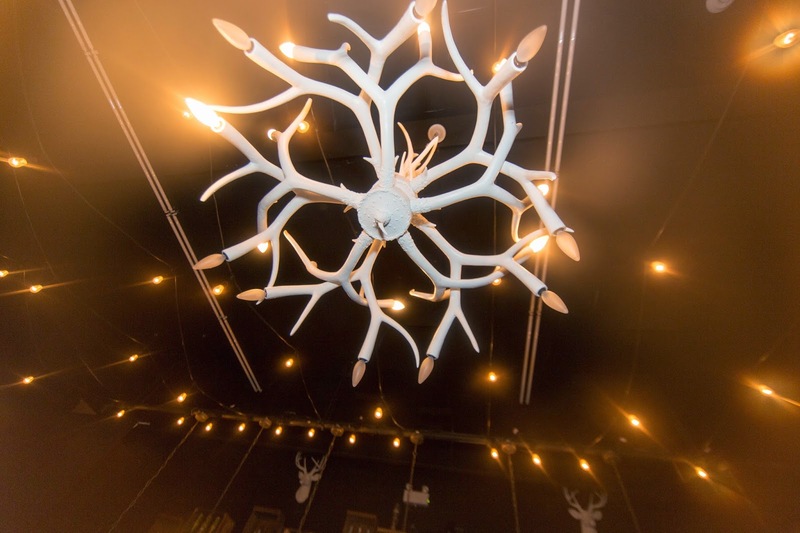 The Ice House has special plans for the upcoming season and there will be decorative sculptures for Halloween and Christmas as well as themed lounge nights for some frosty fun. 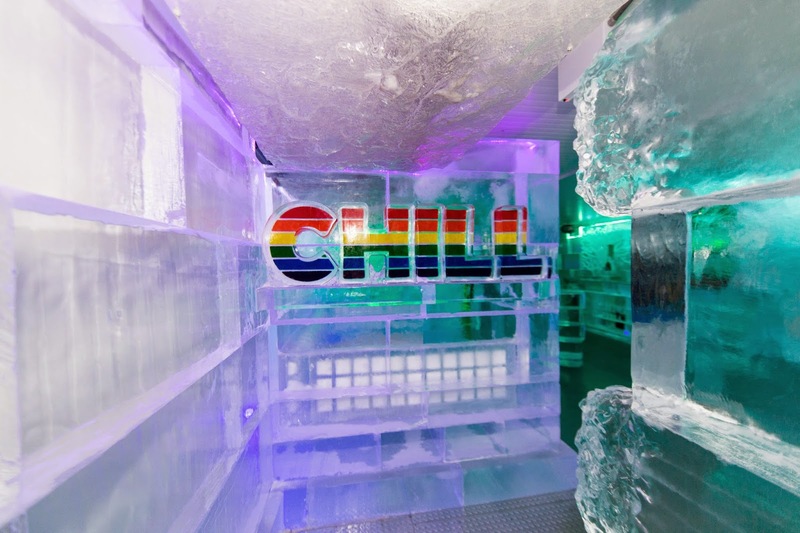 The idea behind Chill Ice House came to Gresham Bayley who spent many years working with Iceculture, one of the biggest ice sculpture companies in the world. Gresham ended up traveling around the world helping to create permanent ice lounges in Dubai, Greece, India and throughout the US. With many years of experience, Gresham obtained the appropriate aptitude and contacts to open an ice house of his own that would appeal to families and the bar crowd providing everyone with a truly unique Canadian experience. 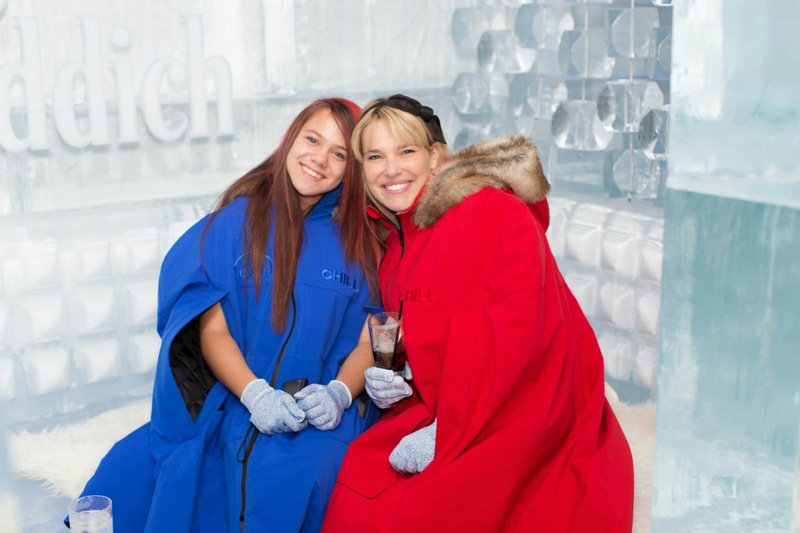 The Ice Lounge costs $18.95 for adults, $15.95 for students and $9.95 for children. Upon entry you’ll get to borrow a lovely insulated cape parka and a pair of gloves. Once you’re inside you'll feel like your body has been placed inside the frozen foods section at the grocery store. The parka is very warm though and you'll have the chance to order a cold or hot beverage from their creative cocktail menu which will definitely keep you toasty. I was able to handle the -5 degree temperature and actually found it to be refreshing especially on a summer day. 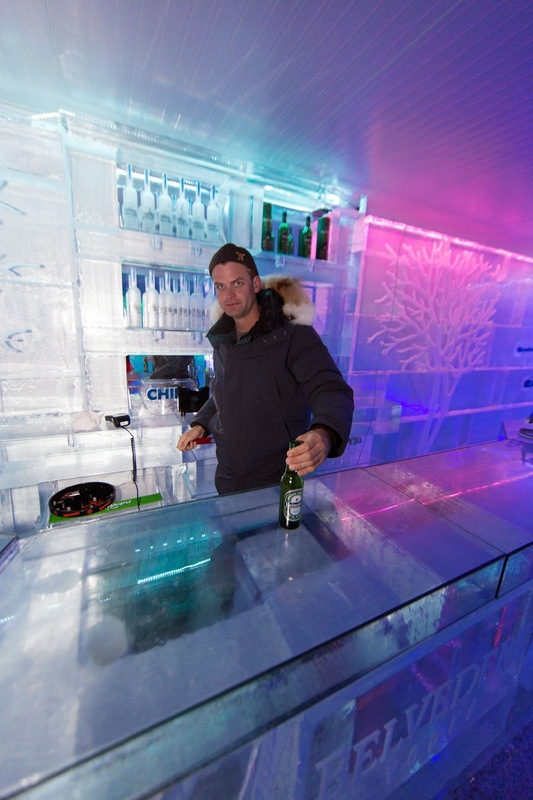 If you end up getting too cold, there is a convenient warm chalet-style bar inside as well where you can cozy up. 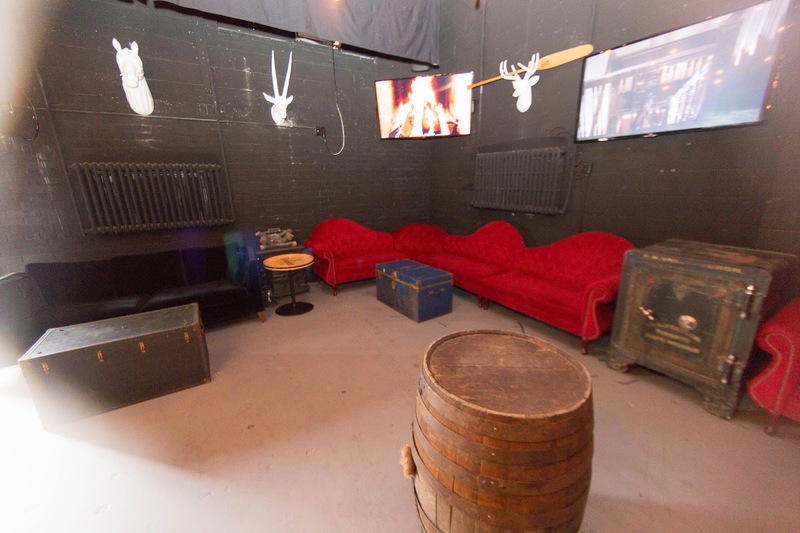 The CHILL Ice House is becoming the new ideal spot for private events in the city. 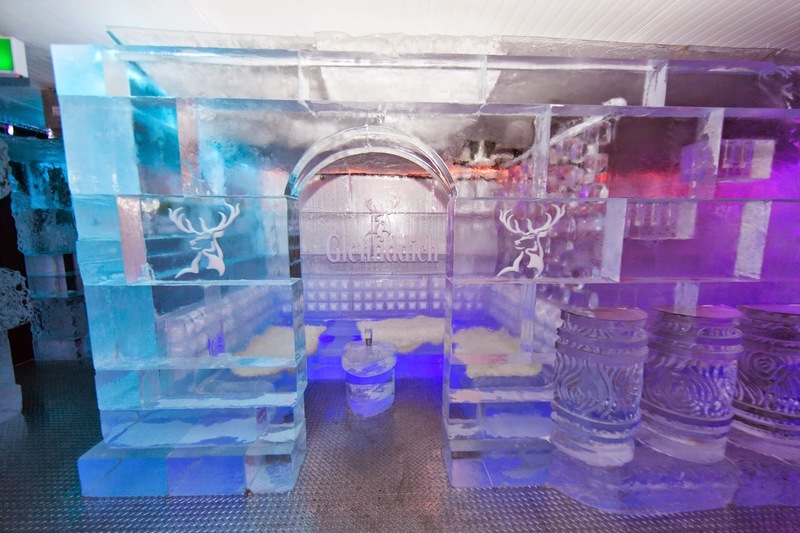 A buyout of CHILL Ice House includes 45 minutes of exclusive access for just you and your guests. This also includes the rental of insulated capes and gloves. 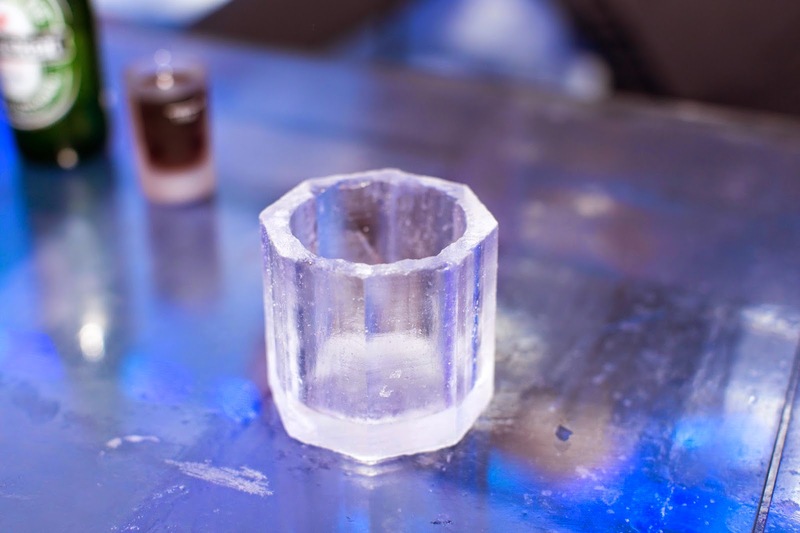 There are add-ons that you can choose from to spruce up your event such as customized ice sculptures, logos on reception TVs or a signature drink. 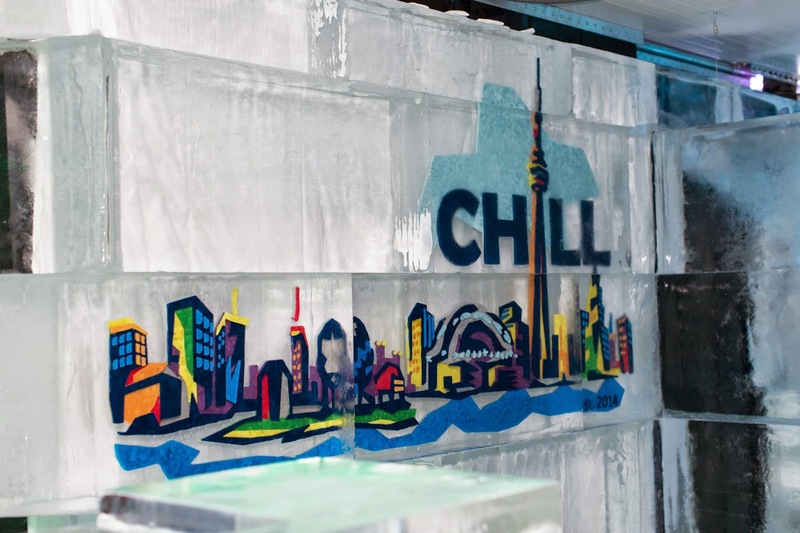 Whether you're a local or visitor to Toronto, the newly opened CHILL Ice House at 82 Bathurst Street is a must see attraction! 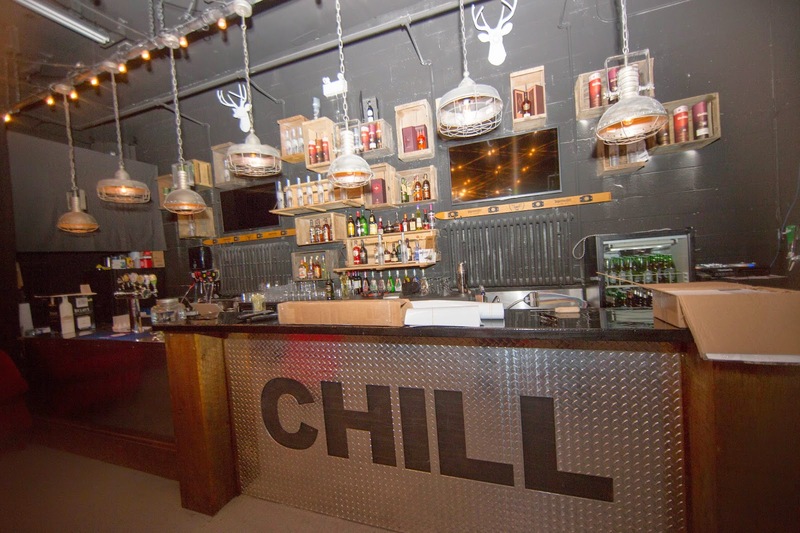 You can stay up to date with CHILL Ice House on twitter, facebook and instagram as they are always implementing new concepts to make the lounge truly spectacular. Chances are the ice house will be warmer than actual outside temperatures once our Canadian winter rolls around!